Yiannis Mouzakis via Macropolis | Just as years of fiscal irresponsibility pushed Greece into its permanent state of crisis, seven years and numerous Eurogroups later it was still the fiscal side of things that made the biggest impression on developments at Monday’s Eurogroup. The fact that Greece is expected to reach and maintain a primary surplus of 3.5 percent of GDP after 2018 for a period between three and 10 years overshadowed eurozone finance ministers’ decision to approve a series of mostly debt management measures that consist of longer maturities and fixed interest rates. The relief measures are expected to have an overall benefit on Greece’s debt profile of approximately 40 billion euros over the next decades. The task of attempting to correct years of fiscal mismanagement in an economy sinking like a stone fanned political crises that consumed every crisis prime minister so far. The demand by Greece’s lenders for Tsipras to overreach fiscally looks like it could be the factor that will decide his fate. A couple of weeks ago, it seemed that the International Monetary Fund had made more concessions by accepting that the eurozone could just set out the medium- and long-term debt relief measures for Greece rather than implementing them now. 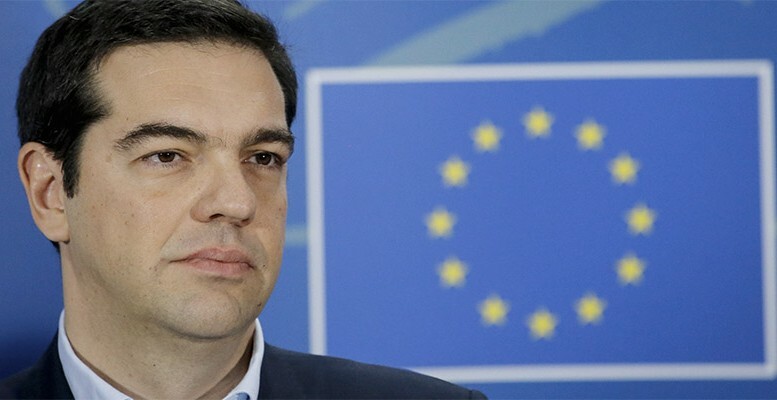 The thinking went that this would allow its participation in the Greek programme without losing much face and at the same time satisfy countries like Germany, which did not want the current discussion to include anything more than short-term measures. Instead, German Finance Minister Wolfgang Schaeuble is closing another year of the Greek crisis without having conceded any significant ground. At the Eurogroup, he agreed to the non-politically sensitive parametric debt interventions from the ESM, which do not involve any changes to the programme and thus avoid the need for an awkward discussion in the Bundestag. However, what is politically convenient for Germany has shaped Greece’s fate and caused significant problems in Greek politics. It is widely acknowledged that Greece cannot maintain primary surpluses of 3.5 percent of GDP for many years in a row and that debt relief should be formed in such a way that will allow the fiscal target to be reduced. This would provide some space to ease the tax burden and the cost of labour for businesses, attract investment and get people back to work. The Eurogroup, though, confirmed that Tsipras must live with a hugely demanding fiscal goal and respond to the demands of the IMF, which believes this target cannot be reached unless more cuts are applied in the pension system and the various breaks that halve the tax base are scrapped. The short-term debt relief measures agreed in Brussels got a lukewarm response in Greece, giving little room for spin since Athens had raised expectations that a comprehensive package, made up of debt relief and the conclusion of the review, would be settled at the Eurogroup. The review remains open, debt relief is small in volume and the participation of the IMF, with what Athens describes as “extreme demands” seems unavoidable. There is a sense that Greece has become snared between its creditors. European lenders will not accept the conclusion of the review without the IMF on board and the Fund will not decide to take part before the review is successfully concluded. It will not be long before Tsipras finds himself in a discussion about a mechanism that will ensure his government can comply with the programme’s fiscal targets. Even defining those corrective measures will be toxic. Athens still hopes that it will avoid a toxic debate on further measures because the medium-term debt relief due to be agreed in 2018 will allow primary surplus targets after the end of the programme to be lowered. However, if the IMF insists on legislating contingency measures now it will likely accelerate political developments in Greece. Although the base-case scenario is still that all sides remain calm and bring the review to its conclusion, as it is in everyone’s interest to do so, Monday’s Eurogroup means that there is a higher degree of political risk ahead than if the decisions on debt and fiscal targets had been more favourable for Greece.